It probably started in the womb of a mother who loved listening to opera, going to Broadway theater, dabbling in oil painting, and cooking delicious foods. Laurie grew up in a household where creativity was cherished and nurtured, so there was little doubt that she would craft a professional life that would integrate the arts and her personal passions. While genetics and family encouragement played a critical role, good fortune and wonderful business mentors made their mark on a career that began in direct marketing, where she was immensely grateful to learn from Stan Rapp and Tom Collins, and was given latitude to be an “intrapreneur” before that word was even coined. A taste of facilitating creative meetings provided by training at Synectics added new tools to Laurie’s repertoire, and she joined the firm as an Associate/Consultant for three years. She left to co-found IdeaScope Associates, and for twelve years headed up consulting for this boutique strategic visioning firm which had a staff of 25, and offices in Cambridge, MA and San Francisco. In 1995 she reframed her professional world, launching Practical Imagination Enterprises (PIE), an Innovation and Qualitative Research Consultancy with a network of outstanding colleagues. Clients come to Laurie and PIE when they need to recharge their thinking—look at their business differently, create future vision, generate and develop new strategies, new product and positioning ideas. Through the years Laurie has created and refined a well-proven process using the language of innovation and a host of face-to-face and on-line qualitative research methodologies, which engages three streams of human expertise: cross functional client teams, "thought leaders" who provide content to complement client teams’ knowledge, and consumer teams to provide “raw material” in the form of insights and ideas. 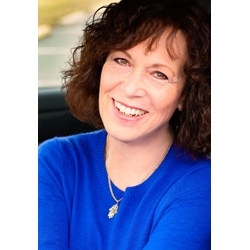 Laurie has the privilege of working with some of the world’s leading companies and brands in most every industry, and she has also been delighted to help smaller firms, entrepreneurs and non-profits flourish. She is an active member of the Qualitative Research Consultants Association (QRCA)—currently Co-Chair of the Philadelphia Chapter, is Managing Editor of QRCA VIEWS Magazine, and is a frequent presenter at national and local QRCA Chapter conferences. She has presented widely and authored numerous articles on qualitative research, consumer trends, new product development, presentation skills, and healthy, creative cooking. Regarding the latter, she self-published: Creating the Creative Cook: An Almost Vegetarian Cookbook for Almost Brave Cooks and periodically presents “Creating the Creative Cook” workshops. Laurie is active in the arts as a singer with the Voices Chorale, an occasional storyteller, and performer with the Hunterdon Radio Theater. An avid organic vegetable gardener, she is still amazed and inspired by the magic process of planting seeds which turn into those mouthwatering juicy, ripe, homegrown tomatoes.